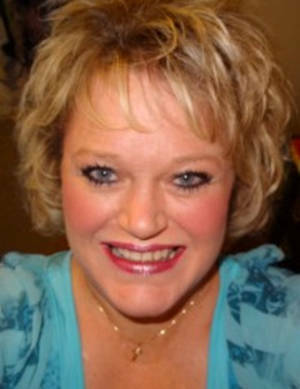 Obituary – Bottoms, Lisa Dionne (Swartz) « Perry High School Alumni Association, Inc.
Lisa Dionne Bottoms, of Mustang, Oklahoma, passed away April 7, 2019 at the age of 47. She was born January 14, 1972 in Perry, Oklahoma. Lisa graduated from Perry High School, in Perry, Oklahoma. Following graduation, she went to cosmetology school, then went to work in Stillwater as a hairdresser at J.C. Penney’s. Later, she moved to Guymon, Oklahoma, where her son, Colton was born on September 24, 2001. Lisa then moved back to Calumet, Oklahoma, where she lived with her parents for about 1½ years before she moved to Oklahoma City and remarried Steve Bottoms on September 16, 2008 and bought a home in Mustang. Lisa loved to cook and bake, especially during the holidays. She took up refinishing furniture for a while at a house they were renting. She kept some of the pieces she had refinished and sold the others. With her family’s help, they worked together very well on the furniture they had refinished. Lisa was a very talented artist, and had a passion for arts and crafts. After sanding every piece to bare wood, she was very meticulous and picky on how the stain looked on an Armoire or a dresser, or how each tiny detail looked on the wooden names she painted for Sophia and Colton, when they were younger. Lisa and Steve worked very hard to buy the house that she loved in Mustang. It was the last house they had looked at with the floor plan she wanted. Lisa loved music, movies and singing. She also enjoyed fishing with Colton and shopping with Sophia. Lisa was a wonderful, loving wife, mother, daughter, sister, aunt, cousin and friend. She loved her family and took great care of them. Lisa was just a good person overall and will be deeply missed by all who knew and loved her. She is survived by her husband, of 11 ½ years, Steve Bottoms, of Mustang; son, Colton Johnson, of Mustang; daughter, Sophia Bottoms, of Mustang; her mother, Diane Cardin, of Perry; father & step-mother, Phillip & Barbara Swartz, of Calumet; brother, Drew Nelson, of Pawnee; nephew, Kelby Swartz, of Perry; niece, Tabitha Swartz, of Ponca City; and step-sister, Starlet Little, of Bethany. Lisa is preceded in death by her sister, Edyie (Swartz) Diaz; and step-father, Todd Cardin. Funeral Services for Lisa will be held at 1:00 PM, Monday, April 15, 2019 at the John M. Ireland Funeral Home & Chapel, located at 120 South Broadway, in Moore, Oklahoma. Interment to follow at El Reno Cemetery, in El Reno, Oklahoma.